We have known about a new Xbox One Elite Controller for a while now. It was originally leaked earlier this year, and then confirmed by several independent reports. However, what has been unclear is exactly what the feature set of this new controller might entail. The Elite Controller, when it first launched for a whopping $150 a few years ago, was already pretty full featured- how, exactly, do you build on that? The answer is that you literally build on it. 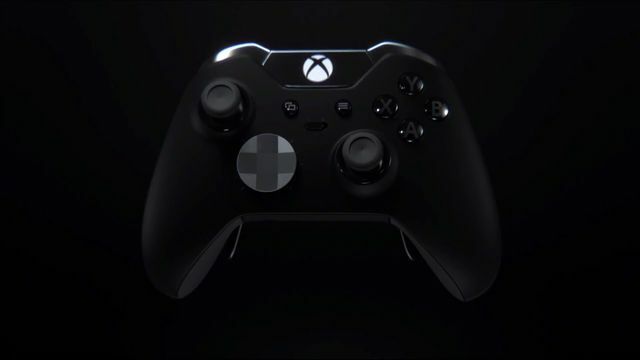 Unlike the Elite Controller, which pioneered several evolutions upon its launch, it looks like the Elite Controller v2, codenamed Spider according to a report on Windows Central, will mostly be content to iterate on the original controller- this includes a USB-C charging port, as well as a charging dock with an Apple MagSafe like locking mechanism. The controller will also apparently add tension control for the joysticks, which should let you configure the resistance you meet when you push the analog stick. There will also now be a three stage trigger lock, as opposed to just the two the original controller had. It is also safe to assume, though this, at least, the report itself does not confirm, that it will support Bluetooth connectivity on PC (which the original Elite controller does not). All in all, it seems like a worthy evolution of the original- now, we just hope it is built a bit better than that one was. While it was a premium controller, and more or less worth its rather shocking asking price, it was also prone to, well, breaking pretty soon. We can only hope this new one won’t be as brittle.